Get windscreen related services at your home or workplace to repair or replace your windscreen, rear screen or bodyglass. Whenever you have a chipped or cracked screen, you can call our company at your convinience. Our windscreen Services company offers many specialised jobs to all our clients, from training and technical support to any vehicle, any make or model vehicle glass procurement. 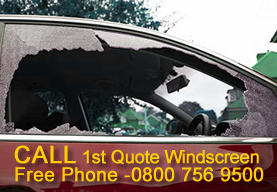 1st Quote WindScreens are just one call away, so whether you need a small chip or crack repaired or a new windscreen fitted or fixed, we can do it all and you just need to Dial our number - 0800 756 9500, we are available 24/7. If you have any vehicle, any make or model, any location we can visit you at home, at work or any other convenient location, within 24 hours and usually on the very same day! We privide nearest and best our mobile windscreen technician. With a knowledgeable and friendly team of highly experienced and qualified windscreen technicians. Are you worried about your Insurance and lots and loads of paper work? 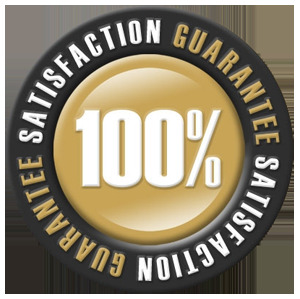 Dont worry we will hand everything for you because we deal directly with your insurance company regarding claims with a priority service and discount for all account holders! We hold a comprehensive range of windscreens and vehicle body glass in stock, so we can get you back up-and-running as soon as possible! Our technicians have vast experience in replacing door glass, windscreens and glass panels ,chip repair and replacement, broken windscreen, crack repair, repair MOT of all vehicle makes. We will take care of insurance claims so you can relax and tension free of all sorts of lengthy and time taking paper works. So now you do not need to fill out insurance forms and tiring paperwork; we will take care and you can just relax from that extra stress and we will help bill your insurance company directly. Our Service center is in London and we cover North London, South London, East London and West London .We are available on Google map so you can locate useasily and contact us anytime from anywhere in London or any surrounding areas. The First step Involved in changing the damaged windscreen is very carefully without disturbing the interior and bodywork of the vehicle cut and very calmly - carefully remove the seals holding the broken and damaged windscreen from the vehicle. The Second step Involved is preparing ypur vehicle and replacing with a new windscreen. For this we first apply primer to your vehicle' framework and apply a special bonding glue to make sure of it sucure fit. The thrid and the final step is to carefully fit your new windscreen to your vehicle. The fixing glue takes almost 60 minutes to set properly and we also take care that the vehicle is not driven until this time.